The best purchases are those that give back. 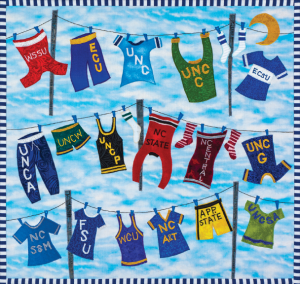 Show your support for research at UNC Lineberger and care at the N.C. Cancer Hospital by purchasing items from our partners, such as Elaine O’Neil. Proceeds benefit cancer research and care. Celebrate the beauty and character of North Carolina all year long with the Elaine O’Neil North Carolina-themed “Luv This Place” calendar. A portion of proceeds help fund patient support programs at the N.C. Cancer Hospital.